Nudi Gal: Lettuce is good for you. Lettuce is good for you. Today I got a decent shot of the Lettuce Sea Slug. It is pretty much the only "nudi proper" I think I'll see on this trip. There are several living on a rock right by the ladder but it's really hard to get a good shot with all the surge. Those two feelers up front are the rhinophores and today I learned that underneath it's got a black and white pattern with black and whites spots. 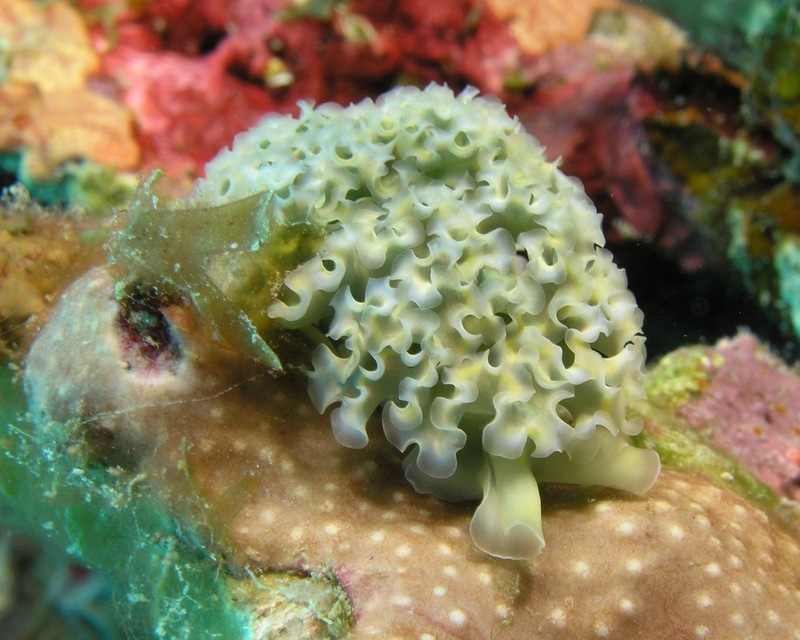 I thought a Lettuce Sea Slug was not a proper nudibranch... Maybe I need to re-do my metadata.